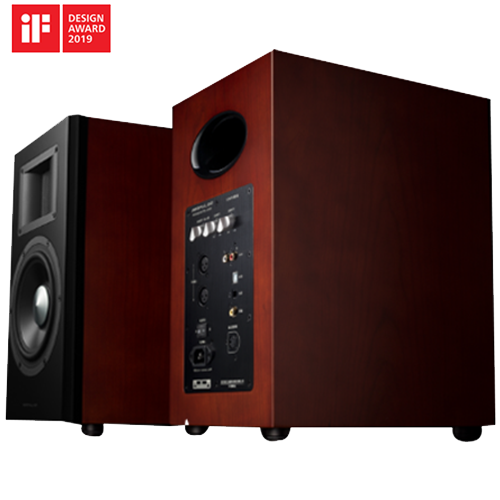 The AirPulse A200 powered speaker combines reference monitor sound quality and timeless retro styling. Guided by our design philosophy of perfection by simplicity and efficiency, a considerable amount of research time was spent on designing and selecting each sub-component in the A200 including cabinet construction, speaker drivers, amplifier circuitry, and internal wiring to name a few. Not one minor detail was left unattended during the creation process on even the smallest component, which all in combination contribute to the A200’s impeccable performance. The A200 is a feast to your eyes with its beautiful natural wood grain cabinet. It is most important, but not surprisingly, a feast to your ears. It accurately reproduces music with pure and extended high frequency, detailed and full midrange, and solid bass notes. The A200 is our latest gift to the most discriminating audiophiles and music lovers. It will bring you to a whole new level of listening experience, and you will fall in love with your favourite music all over again. The A200 cabinet is built from 25mm rigid MDF with cherry wood veneer finished in satin lacquer. Strong internal bracing supports and stabilizes the drivers and eliminates cabinet resonance to a minimum. To further reduce colouration, cabinet interior is fully lined with 36mm thick waved sound absorption material. Like much high-quality audio equipment, the amplifier front panel on the A200 is made with 3mm thick brushed aluminium. The CNC machined solid aluminium knob Is not only elegant looking but also our own unique design with ergonomic and functionality in mind. Such fine details again reflect our pursuit of refinement and excellence. The A200 horn loaded tweeter inherits the mechanism of the tweeter in our flagship 7001 nearfield monitor, but with an added phase correction device which greatly improves frequency response and increases sound dispersion. The A200 ribbon tweeter has a very low resistance of about 0.2 Ohm and it works with a transformer. The low resistance brings more current through the ribbon thus raise the SPL of high frequency, which leads to wide frequency response. We construct the A200 tweeter with the highest quality aluminium ribbon, strong Neodymium-Rare Earth magnets material coupled with an appropriate transformer to give it high sensitivity, superb transient response, extended frequency range and ultra high definition. The unique shape and size of the horn on the A200 tweeter was designed from precision calculation and simulation. Connecting the ribbon tweeter to a horn helps the sound generated by ribbon better coupled to the air. It further increased efficiency, power handling, frequency response and dispersion. The 5.5" woofer in the A200 is an aluminium cone/large voice coil signature Phil Jones design. It uses a neodymium motor to provide a high magnetic flux to cover the entire voice coil of the loudspeaker. This is rarely done in speaker construction because of the sheer cost. Majority of loudspeakers use a voice-coil mostly overhung outside the magnetic field . 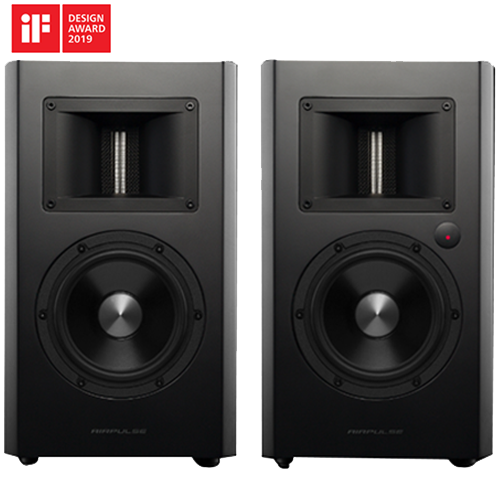 By using a much larger magnetic field in the A200 woofer, we considerably reduce harmonic and inter-modulation distortion, giving the speaker a far more musical and natural sound. The Proprietary Aluminum Alloy Cone ( PAAC) was designed from painstaking analysis of all types of cone geometry and materials using a Klippel Laser-Doppler Interferometer: A precision scientific measuring instrument that analyses cone behaviour in the 3D environment. The voice coil in A200 woofer is unconventionally larger than most 5.5" loudspeakers. Larger voice coils have less power compression because they run at a cooler operating temperature. Sonically this means a more realistic dynamic representation of the music. It is dynamics in music that gives it emotion and exhilaration. The cooler running temperature of the voice coil also brings a benefit of reliability and extremely rare driver failure. Most loudspeakers use round copper wire in the voice coil. The A200 uses a far better single layer edge-wound copper clad aluminium ribbon. Ribbon voice-coil wire gives more electrical conductor in the magnet gap and increases efficiency, power handling and lowers distortion. For optimum performance without compromise, the A200 woofer uses a hyper-rigid cast-magnesium alloy frame. Its increased rigidity greatly reduces speaker colouration, and its material helps to dissipate heat efficiently from the voice coil much faster than a typical steel speaker frame, all of which lead to increased dynamics and power handling and ultimately, a much more satisfying musical experience. The amplifier section of the A200 Is composed of three pieces of TAS5754 Class D amplifiers. Two are connected in parallel bridge mode to drive the left and right woofers, and one is connected in bridge mode for the two tweeters. Not like normal Class D amplifier, these amplifiers feature closed-loop structure with even lower distortion. Its digital input accepts a signal with up to 192KHz sample rate. Its Hybrid-Flow digital processing enriches the system processing capability even more. The processing core of A200 Amplifier Is two pieces of TLV320A1C3254 from Texas Instrument. The miniDSP inside the chip offers two parallel signal path for high frequency and low frequency independently. The miniDSP accepts input signal with up to 192KHz sample rate. Signal processing like electronic crossover, speaker compensation, dynamic range management are all done by the miniDSP. The Amplifier of A200 Is powered with a high-efficiency switch mode power supply. The power supply reserves sufficient power source for dynamic playback with minimized ripples, and can meet the Energy Star power consumption requirement In STBY mode. The A200 amplifier includes two analogue input modes, one balanced and one single ended, are converted into the system by two high-quality ADC chips, PCM1802 and PCM1804, both from Texas Instrument. PCM1802 takes the single end analogue signal, and it features a typical -96 dB THD0N, 105dB SNR and 105dB Dynamic Range; while PCM1804 takes the balanced analogue signal with an even higher spec, typical -102 dB THD+N, 111dB SNR and 112dB Dynamic Range. Tn the digital side, both the optical and coaxial signal goes through an audio front end receiver chip, PCM9211 from Texas Instrument. This audio front end supports up to 216K input sample rote. For the convenience of music playback, the A200 offers a built-in Bluetooth receiver for A2DP application. The receiver features CSR8645 chipset from Cambridge Silicon Radio. Though designed for more casual music playback, the receiver supports apt-X. 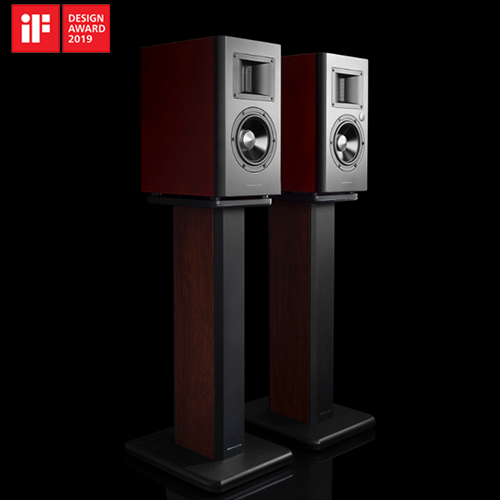 The A200 amplifier was designed to work precisely with the components of this remarkable speaker. It uses Digital Signal Processing ( DSP) to match blend both woofer, tweeter and enclosure to work as “ONE”. The A200 uses TRANSPARENT audiophile grade speaker cable made in the US for internal wiring. Signals are transferred with utmost accuracy and minimum loss. With it, you are brought steps closer to music! The A200 comes with a wireless remote control used for taking control of your sound. You can switch between inputs easily from the comfort of your seat.